We all live busy lives with time often being a precious commodity. This leads to many individuals putting off car maintenance or forgoing it all together until they hear a rattle or rumble in their engine and finally realize they need to bring their vehicle in. 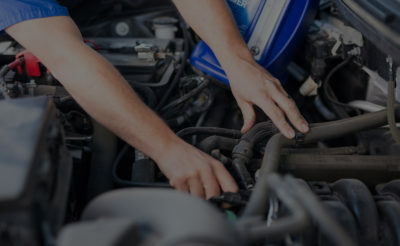 At Ethan’s Honest Automotive Service and Repair of Logan, UT, we realize your time is precious, and that car maintenance does not tend to fit the top three things you would like to do in a day, but we urge you to begin to set up regular car servicing due to the number of benefits it has in the long-run. If you hear a small rattle in your engine and you bring it in right away, you can avoid costly problems down the road. While most people tend to react only when things are bad, proactive individuals with their vehicles will come to find that it is much easier and less costly to keep an eye and ear open on their vehicle and bring it is the moment things seem a little off. If your brakes do not engage as well as normal, you see a small leak that you’d otherwise ignore, just bring it in to be safe. You might find out that it could have become more problematic and a safety concern rather quickly if left untreated. Just as stated above, being aware of the smaller problems can avoid larger problems from occurring down the line with your vehicle. A common problem we see is people putting of something simple like an oil change. They go months, if not years (scary, right?) without getting it changed professionally and then their engine overheats and there go thousands down the drain. The point being, small things, whether routine or repair work can be fixed and updated in a quick and cost-effective manner more than leaving a problem alone until it quite literally blows up in your face. This sounds obvious, but car maintenance meant to extend your vehicle’s lifespan as much as possible. Changing a car every three years just because it was never maintained properly is no fun. We want our customers to have their cars for the long-haul, which is why we insist on regular maintenance being a part of your life. The more frequently you take your car in to get checked, the less likely you will have to say goodbye to the car, your paycheck, and your sanity. 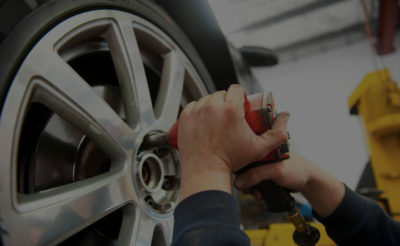 If the above has not stated anything else, it’s that regular vehicle maintenance does save you time and money overall. While a regular check-up may set you back $200 and maybe two hours, a complete engine removal and repair can set you back over $1,000 and keep you car-less for a few days. I believe our customers would choose the first instance over the second simply because it is way less costly, even if you multiply by how many times you would bring in for regular maintenance a year. At Ethan’s Honest Automotive Service and Repair, you do not have to worry about long wait times or expensive services. We realize your time and money are valuable to you, and we offer fair pricing for all vehicle services and quick wait times while you wait to get your vehicle serviced. Regular vehicle maintenance will mean being in and out of Ethan’s Honest Automotive Car Repair and Service much quicker than if you have a major car problem left untreated–we can promise that!